Initially a social worker, Sarah built her expertise in helping people change their ways of thinking and behaviour by working in child protection. Since then she has worked for over 20 years with organizations from production and service sectors as well as with higher education, not-for-profit and local and central government. A chartered psychologist, Sarah is an experienced facilitator with special expertise in creating individually designed large or whole system interventions based on Appreciative Inquiry, Open Space and other key collaborative transformation methodologies. She works in the areas of socio-technical system implementation, team development, whole system change and organisational development. She helps organizations to address their issues, meet their challenges and achieve their desires in areas of organisational life such as performance, change, strategy, relationships, morale, engagement and motivation, working together, process improvement, leadership, co-ordination, and effectiveness. She is often asked to help when things are ‘stuck’ or dysfunctional at a team, organisational or individual level, yet is equally able to help make good better. 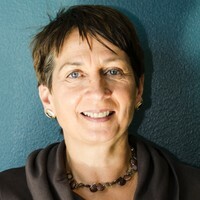 She is the author ‘Positive Psychology at Work’ and ‘Positive Psychology and Change’ and lead author of ‘Appreciative Inquiry for Change Management’. She is a recognised expert in these areas and speaks regularly at National and International Conferences.